Check out the latest game from Trials HD developer RedLynx. RedLynx's upcoming iOS title, Nutty Fluffies, employs a Toy Story-inspired plot where objects come to life when there are no pesky humans around. The game takes place inside an amusement park, and the characters are stuffed animals that love riding the roller coaster. With this in mind, the interesting physics-based effort lets you custom build your own coaster by purchasing different parts with coins. In addition, the game comes with 26 rides that range from wooden coasters to steel speed demons. You'll also run into various power-ups, like rockets, jump jets and magnets. 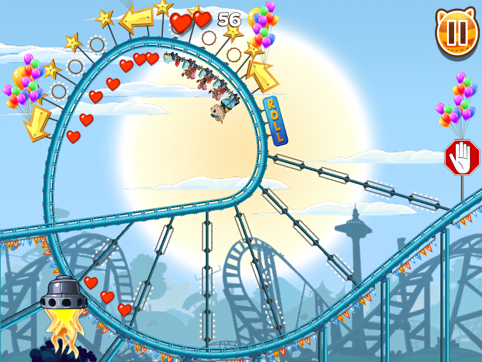 We think there's a lack of roller coaster games on the App Store, so hopefully, Nutty Fluffies fills the void. It should debut before the end of the year.